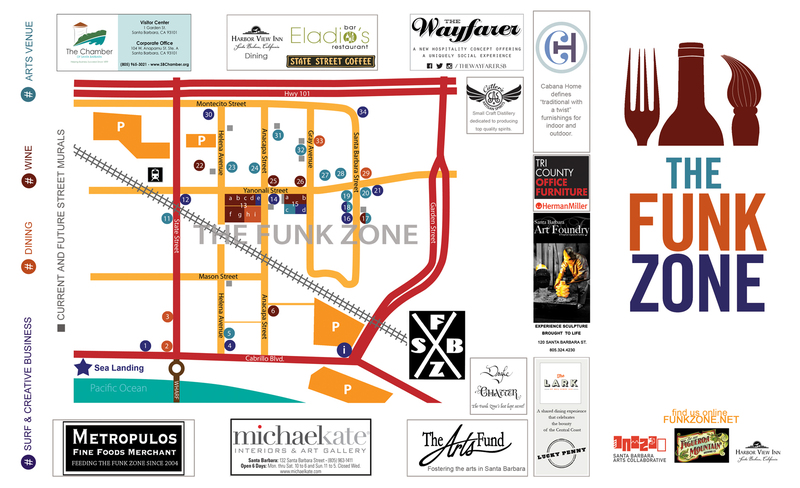 map of the Funk Zone? we have that. The hottest neighborhood in Santa Barbara? The Funk Zone. period. end of story. Do you need to navigate the hood? We have a map for that. If you don’t have one, or would like to have them in your establishment, let us know. We have them for you. 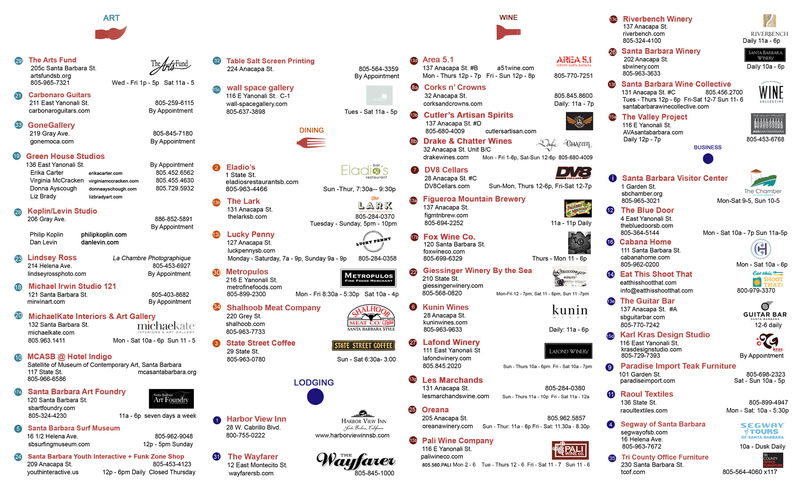 Contact Crista Dix @ wall space gallery to get on the map, or have the map at your location. By phone 805.637.3898 or via email. See you in the zone soon!